fund her adventure by growing and selling a variety of magical plants. ...... of magical plants. Use your blossoming bounty to assemble beautiful bouquets for your enchanting clients and earn even more cash. Increase Iris' skills with experience points and expand your garden beyond your wildest dreams! Magic Snake Game - a nonviolent, peaceful, natural, and classical snake game. In Magic Shop, customers enter your store and order artifacts. Is a delightful color-matching game. Qweas is providing links to Magic Farm: Ultimate Flower game for PC 2011 as a courtesy, and makes no representations regarding Magic Farm: Ultimate Flower game for PC or any other applications or any information related thereto. 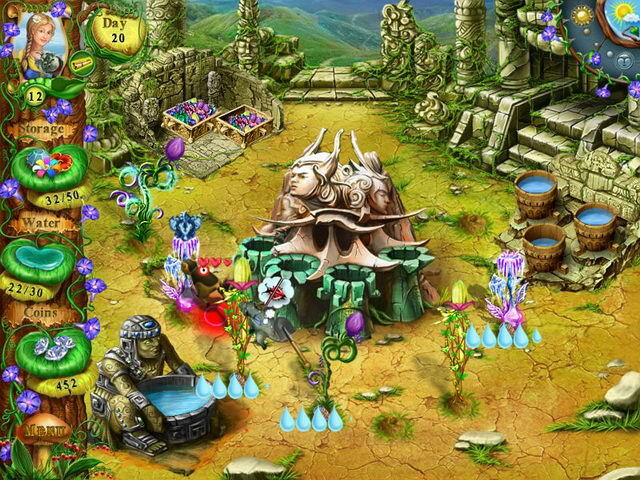 Any questions, complaints or claims regarding this application Magic Farm: Ultimate Flower game for PC 2011 must be directed to the appropriate software vendor. You may click the publisher link of Magic Farm: Ultimate Flower game for PC on the top of this page to get more details about the vendor.